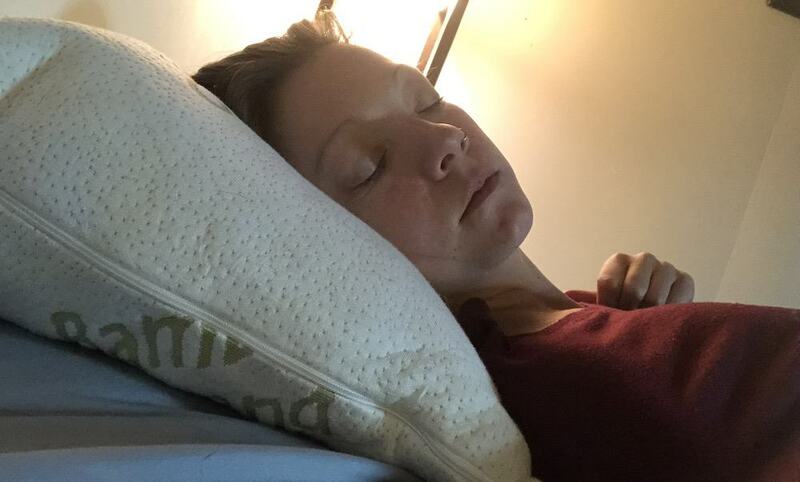 You may have seen The Bamboo Grand Pillow on TV; it’s an infomercial product that became pretty popular after promising things like “guaranteed to not get flat,” “100% satisfaction or your money back,” and “the best pillow for cervical neck support.” Additionally, the Bamboo Grand says it’s both hypoallergenic and self cooling—keeping people allergy free and comfortable every single night. It also helps that this pillow doesn’t come with a hefty—or even medium-sized— price tag. Their pillows start at a modest $18.99, giving people the opportunity to own a memory foam pillow without emptying their wallets. I’m a fan of memory foam pillows. As a side sleeper who typically moves positions throughout the night, I like that they’re on the firm end of the spectrum and can support my body. But is the Bamboo Grand all talk? I slept on this pillow for a week to find out. Continue reading for the full story, or click to jump straight to the summary. Hypoallergenic and self-cooling, the Bamboo Grand pillow could be great for those sleepers that overheat at night. The Bamboo Grand cover is made from 40% bamboo fiber—hence the bamboo in its name. Bamboo is known for being both porous and breathable, promoting air flow throughout the pillow. Bamboo is also naturally hypoallergenic and repels dust mites. The rest of the cover is made from polyester that provides a soft and plush feel. The cover is removable and machine-washable, too—a really nice perk. 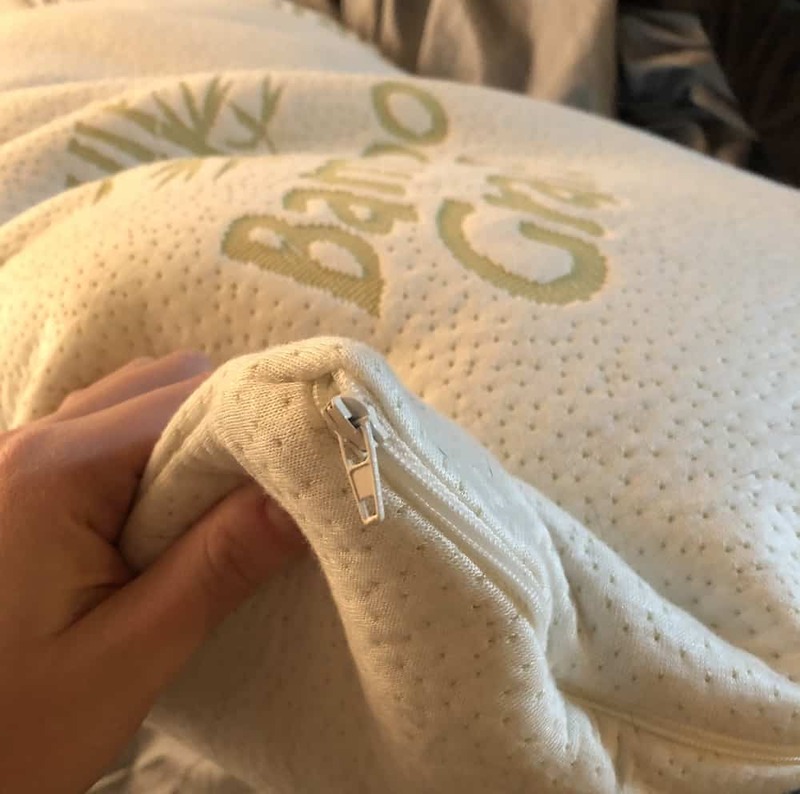 The inner lining (what holds the shredded memory foam) is also made from polyester and has a convenient zipper to easily get to the shredded memory foam itself. Just like the outer cover, you can machine wash it, but you need to remove all of the shredded memory foam in order to do so. 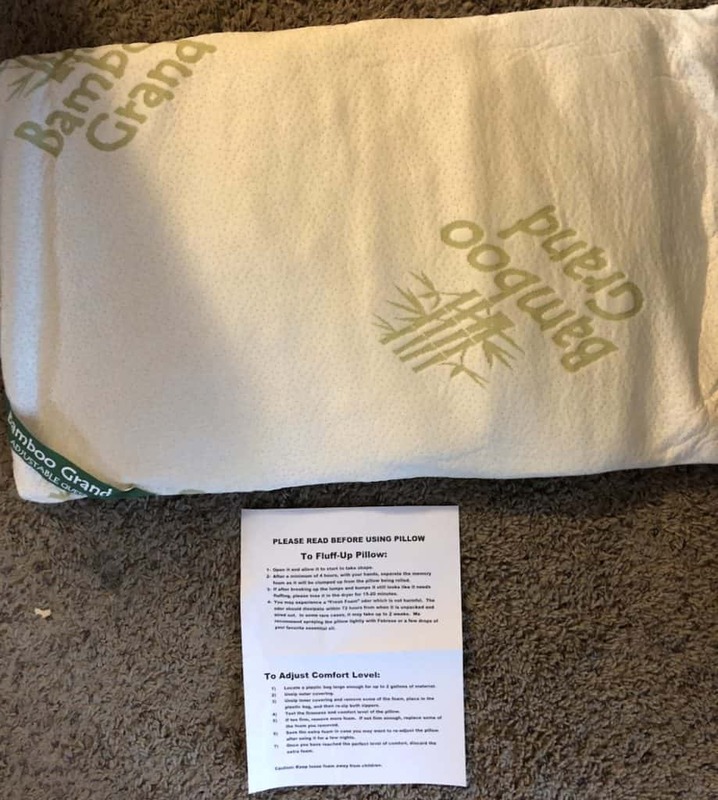 My Bamboo Grand Memory Foam pillow came vacuum sealed. This isn’t the first time I’ve received a pillow like this; the benefit is that it’s way easier to ship and doesn’t use excess material, yet this also means it takes some time for the pillow to build back its shape after being rolled up. 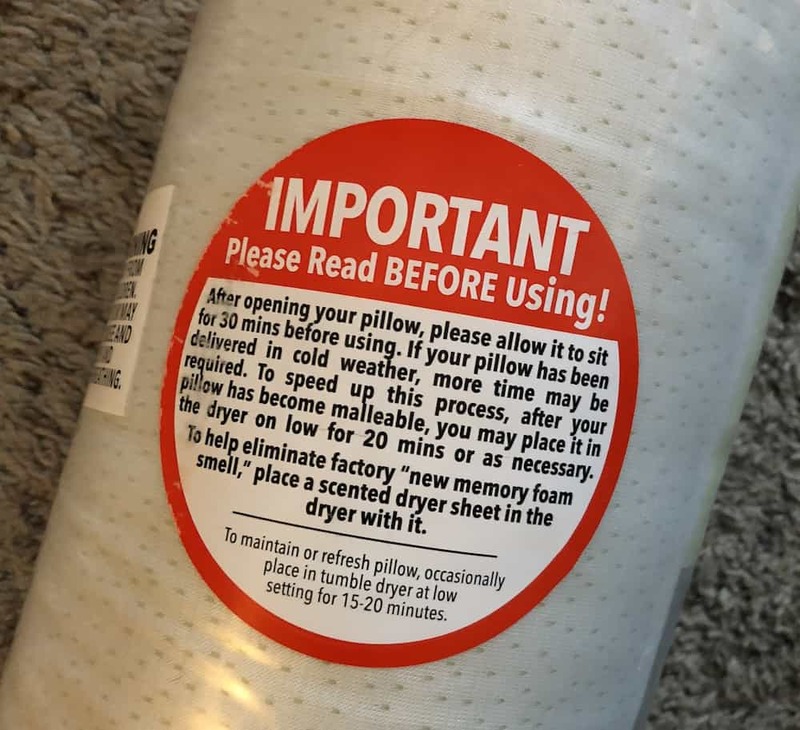 Given that I’d rather reduce waste than have a pillow that was instantly ready to use, I was happy to see it come vacuum sealed. That said, this pillow took a while to fluff up (so don’t be alarmed if it looks extra flat). A piece of reading material that came with the pillow said to wait up to four hours, and if it still wasn’t fluffed, to toss it in the dryer for 20 minutes. After four hours, my pillow reached its full shape, which … is not that full. I noticed right away that this pillow doesn’t have a ton of lift, raising a red flag right away. 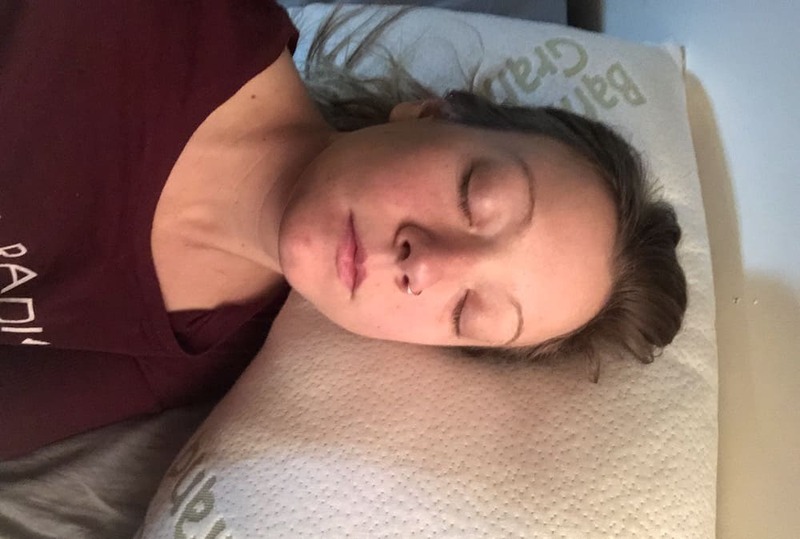 Would this be able to support my neck while being on the flatter side? The short answer is no, not really. Unfortunately, this pillow is pretty flat, and I think needs more foam filling. 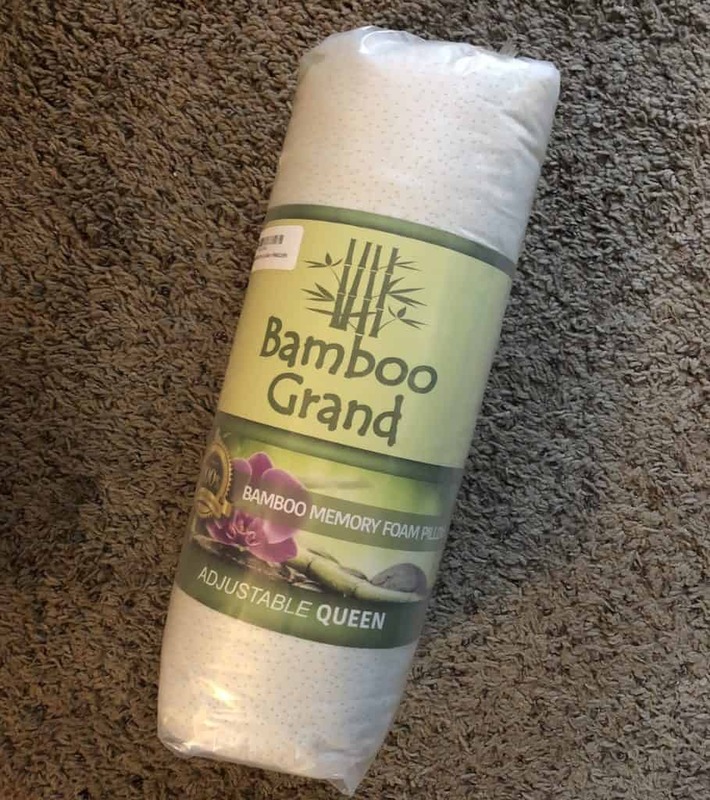 (I could not find any options from Bamboo Grand to order more memory foam, but realized I could order from other companies if I wanted more support. However, there goes the small price tag). When I slept on it, I found that my head was decently supported—the memory foam itself is comfortable to sleep on, and the outer and inner cases is good quality. But the pillow did not have enough filling to angle my neck well enough as a side sleeper. I found myself tossing and turning a handful of times, while trying to fluff the pillow up for extra support. 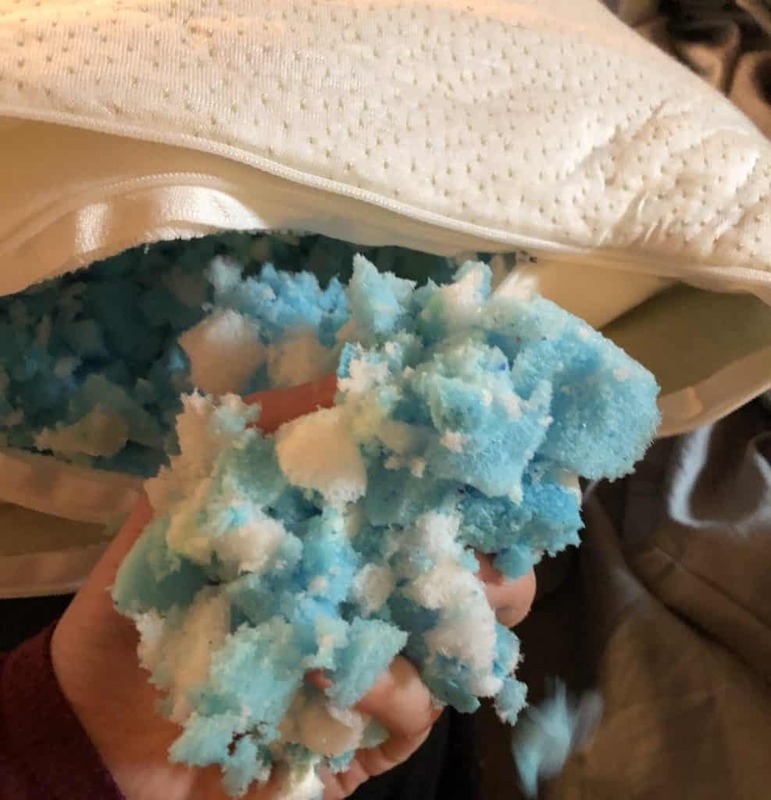 Moreover, the shredded foam makes this pillow feel lumpy, so I had to move around the foam to smooth out some of the kinks. I did find this pillow worked better if I moved to my stomach, so if you’re a stomach sleeper, this could be a viable option for you. This pillow also does a great job at regulating temperature and I did stay cool throughout the night. You’re on a budget – You can’t beat the price of this pillow. For less than $20, you can experience a memory foam pillow with adjustable filling. It’s also hypoallergenic and easy to machine wash.
You like your pillows hard – This pillow is definitely on the firm side of things. You can make it a little softer by removing some foam, but then it loses a lot of its lift. Because of that, I would recommend this mainly to people who know they enjoy sleeping on pillows that are on the harder side. You want to try something adjustable – If you’ve never used a pillow with adjustable foam, it is quite fun. For curious sleepers, this pillow is a nice option to see if the removable, shredded memory foam works for you. 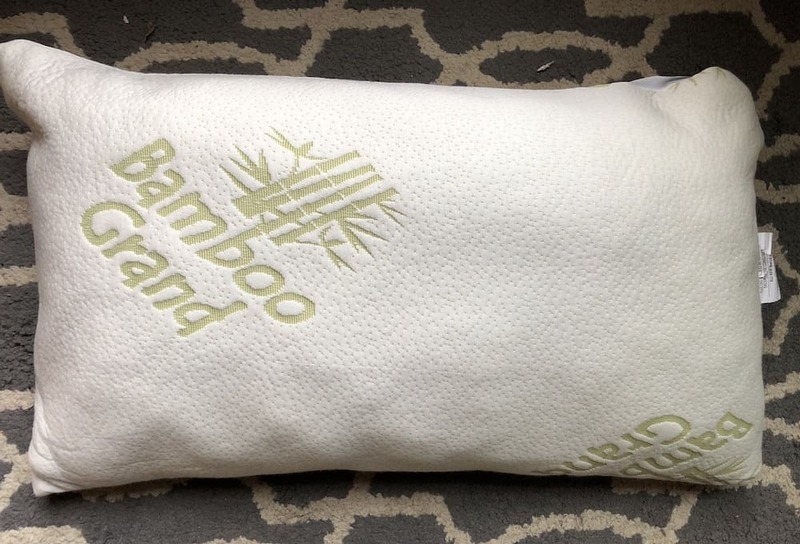 Like the looks of the Bamboo Grand memory foam pillow? Grab it on Amazon!